Fred Douglas Simpson Jr. 77 of Norwood died Wednesday Morning, January 30, 2019 at CHS-Northeast. Funeral Services will be held at 2:00 PM Sunday, February 3, 2019 at Edwards Funeral Home Chapel in Norwood. Rev. Jimmie Hudson will officiate. The family will receive friend one hour prior to the service at the funeral home. Mr. Simpson was born March 15, 1941 in York County, SC to the late Fred and Ruby Canady Simpson. 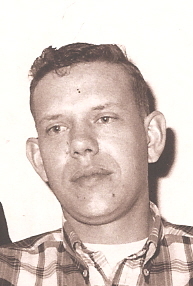 He was a retiree of Collins & Aikman of Norwood and a member of Aquadale Baptist Church. In addition to his parents he was preceded in death by his brother Donald Hall Simpson. He is survived by his brother Jack R. Simpson of Norwood and his sister Mary Joyce Simpson Gathings of Norwood. Two nieces, Karen Striker (Robert) and Kelly Ramsey (Russell). Great nieces and nephews, Stephen and Mark Ramsey, Robert, Kyle, Katherine and Amanda Striker.